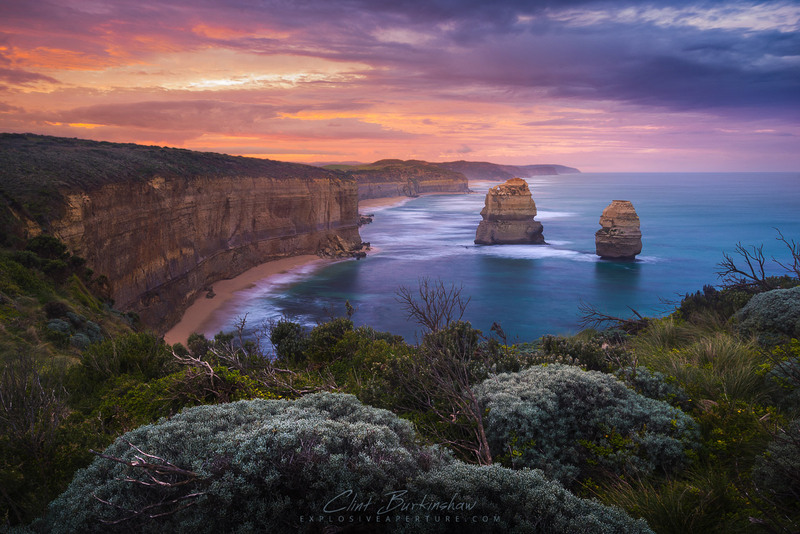 The Twelve Apostles (or should I say, eleven) are amazing pillars scattered along the coastline are a collection of limestone rocks off the shore of the Port Campbell National Park in Australia. We spend the night here camping, as we drove slowly back from Melbourne along the Great Ocean road, to Adelaide. Such a beautiful drive and definitely one you should take your time doing if you get the opportunity. Keep in touch with Clint's latest photo and travel updates. Subscribe to the newsletter, or come join the conversation via Instagram, Facebook or Google+. He'd love to hear from you!